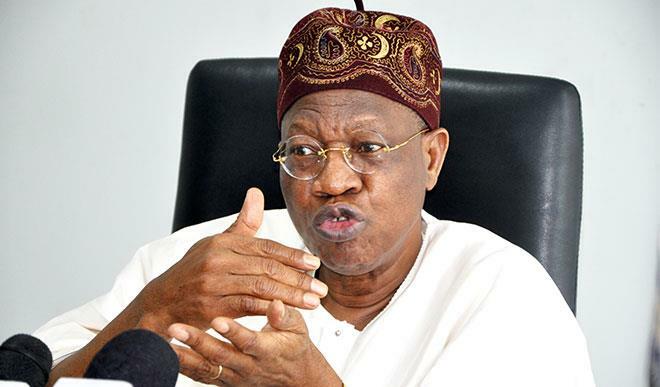 Minister of Information , Lai Mohammed, says President Muhammadu Buhari’s administration has fulfilled its campaign promises to Nigerians. He stated this at the presentation of National Social Investment Programmes (N-SIP), report card event to mark the 2nd anniversary of Buhari’s administration in Abuja. The theme of the report card presentation was ‘Showcasing the Achievements of National Social Investment Programmes: A Smile for Every Nigerian’. He said through N-SIP, the federal government provided employment to 200,000 unemployed graduates, engaged 57,000 people through Government Enterprise and Empowerment Programme (GEEP) and empowered about 26,000 ordinary Nigerians through Conditional Cash Transfer (CCT). Mohammed said under the National Home Grown School Feeding Programme (NHGSFP), government was able to serve about 25 million meals to 1.2 million pupils all over the country in order to make learning conducive. He added that the APC federal government under its school feeding programme had employed at least 12,000 cooks across 36 states and the FCT. “This is a government that promised and delivered on its promises and the unique thing about this particular N-SIP is that it has been achieved in an era when there has been no revenue,” he said. “It would have been a perfect excuse to say that because oil revenue dropped drastically, therefore, we are not able to deliver on our promises. “But despite the dwindling revenue, we are able to deliver on our campaign promises and then this is not related just to the social investment programmes alone. According to him, this is the first programme in the history of Nigeria that you do not need to know anybody before you can get enrolled. “I am happy that many of the beneficiaries have testified to this and this is a new dawn,” he said. “My appeal to all the beneficiaries is to please let them not limit their testimonies to this hall please say it louder and clear at every time to all Nigerians. The minister said that in spite of dwindling resource, since 2016 the federal government was able to add an additional $7 billion to its foreign reserves. He added that Buhari administration had been able to attract $500 million to the Sovereign Wealth Fund (SWF), and increased the Excess Crude $ 87 million.